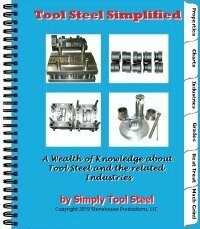 The tool and die industry is a specialized group of manufacturers that produce tooling components for other industries. They serve many manufacturing industries such as metal stamping, roll forming, plastic molding, vinyl extrusion, cold and hot heading, forging, powder metal compaction and metal injection molding. 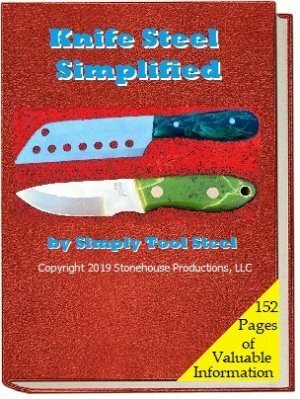 An introduction to the grades of tool steel used in the production of knives and the proper selection of the best grade. This article includes the grades:A-2, D-2, CPM 1V, CPM 3V, CPM 10V, ATS-34, Z-Wear PM, 440C, CPM S30V and CPM S90V. Powder metal compaction is the compaction of bronze, iron, aluminum and other metal powders with the use of high-strength tooling. The PM part is then sintered to attain its strength. This article highlights the powder metal compaction industry, the process and tooling requirements. The history, powder production, powder characteristics, forming, sintering and secondary operations are also addressed. Metal stamping is a manufacturing process involving the use of a tool set to shape metal coils or sheet into a fabricated part. The forming tools that are used are fabricated from tool steel and hardened to withstand the forming process. Plastic injection molding is an industrial process involving the introduction of molten thermoplastic materials into a mold cavity through the use of an injection screw or ram. This process allows the production of simple or complex parts at high speed with high quality. Roll forming is the process where metal sheet or coil is rolled between tool steel roll to form a profile on the sheet or coil. D-2, Z-Wear PM and A-11 PM are common tool steels used in roll forming.